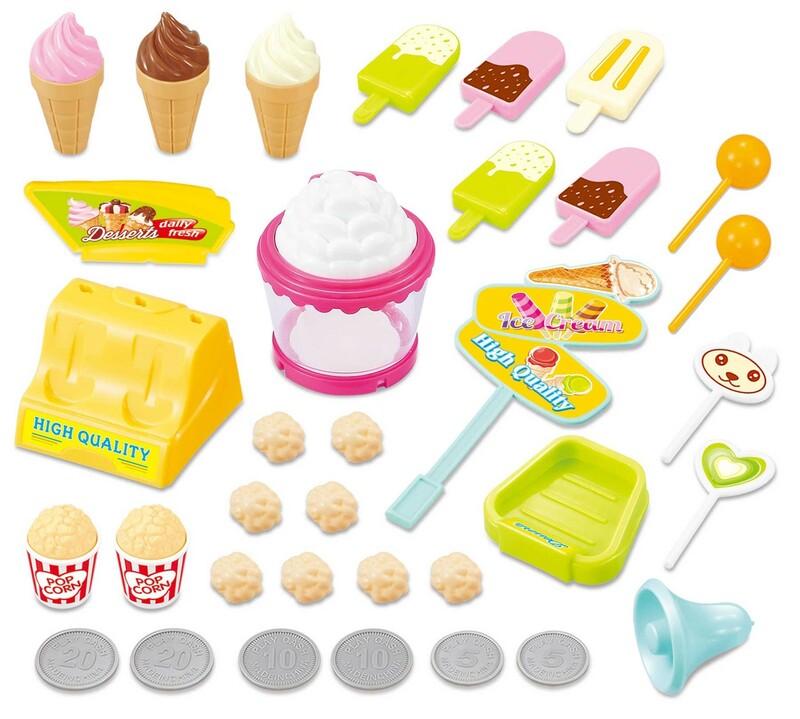 Master Box Dimension : 24" X 19" X 22"
It's a miniature sweet dessert playset on a ice cream cart. 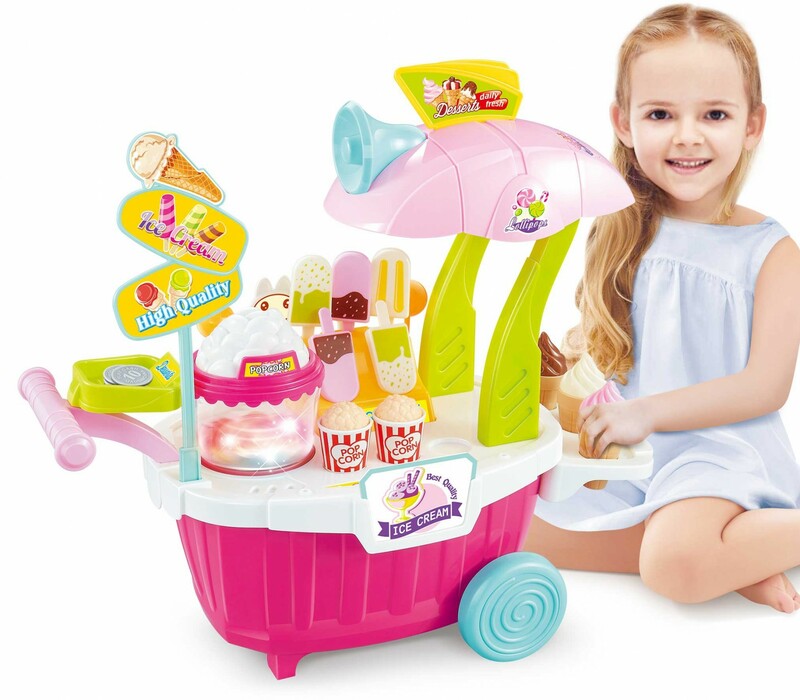 It's filled with delicious sweet ice cream, savory popsicle, and a play popcorn machine! 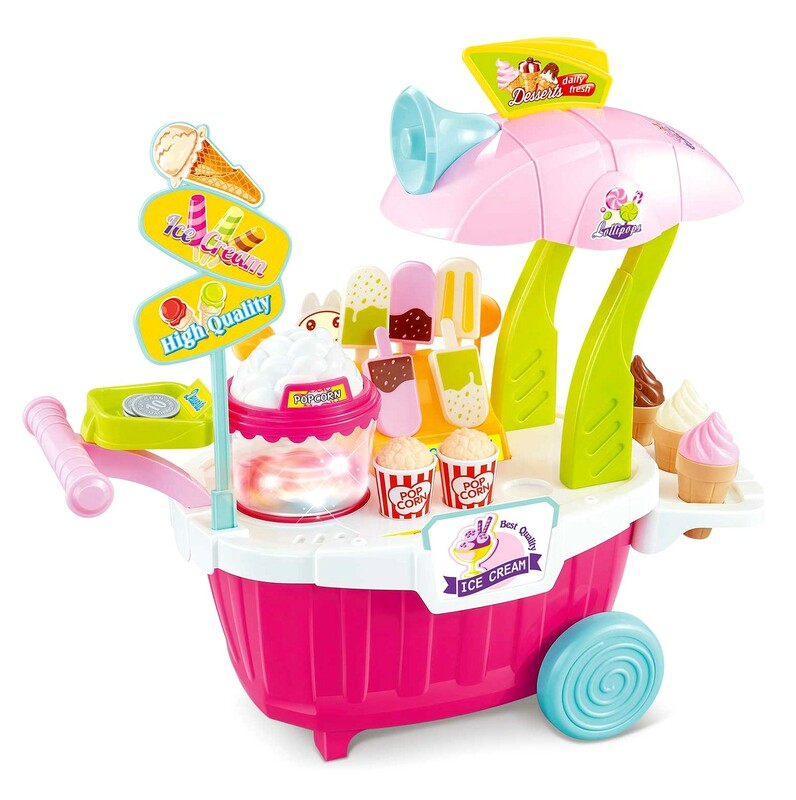 You can practically take this ice cream cart any where you go, since all the items can be stored inside of it. 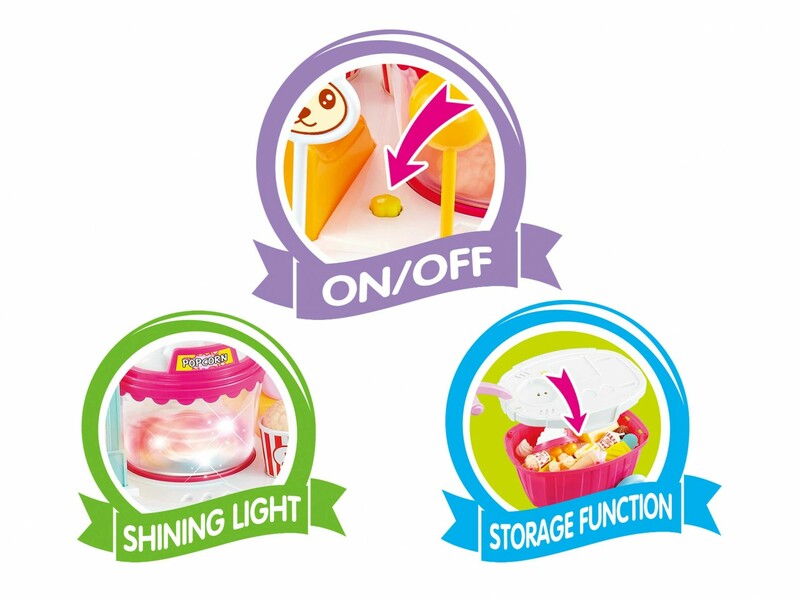 Ice cream popcorn machine can produce shiny lights and makes sound. Great for enhancing kids social skills and imaginative pretend play.